BOZEMAN — Montana State will try to erase the memory of last weekend’s dismantling in Brookings with a final non-conference home game on Saturday. The Bobcats host Wagner of the Northeast Conference on Saturday fresh off a 45-14 loss at No. 3 South Dakota State last week. MSU was without sophomore quarterback Troy Andersen, at least under center (he played a handful of snaps at running back and linebacker), because of an injured left (non-throwing) hand. It also came to light after the game that head coach Jeff Choate had to undergo emergency surgery to remove his appendix upon MSU’s return to Bozeman on Sunday. Choate did not hold his weekly press conference on Monday because of the health issue. The media sessions will be rescheduled this week, according to an MSU representative. 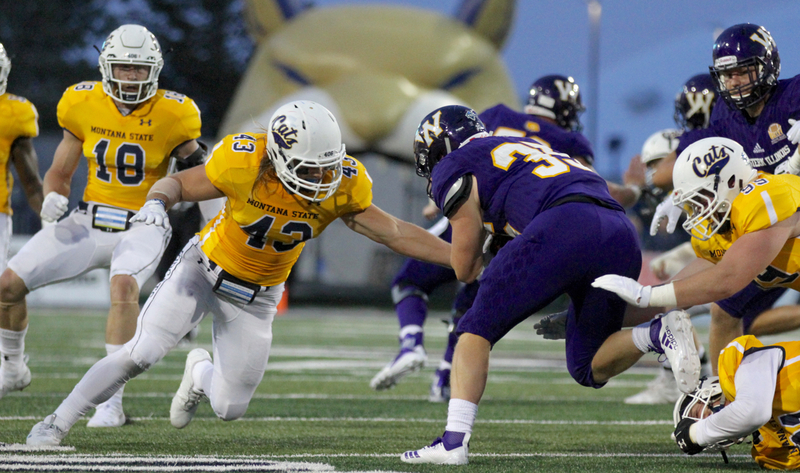 Against the Jackrabbits, Montana State’s normally potent rushing offense stalled out. The Bobcats managed just 29 rushing yards on 21 carries, the first time in 24 games under Choate the team has been held under 100 yards collectively on the ground. MSU had just one first down before halftime and six overall with redshirt freshman Tucker Rovig making his first start at quarterback. The Bobcats now turn their attention to Wagner, a tiny private liberal arts school in Staten Island, New York. The Seahawks are part of an athletic department that is one of the 10 smallest schools in the country offering Division I athletics. The football program has been Division I since 1993. The Seahawks won the Northeast Conference in 2012, advancing to the FCS playoffs for the first time. Wagner beat Colgate before losing at Big Sky Conference champion Eastern Washington in the second round, 29-19. Wagner won the 1987 Division III national title. Founded: 1883. Wagner is a private, national liberal arts college in the New York City borough of Staten Island, United States. Wagner is known for its academic program, the Wagner Plan for the Practical Liberal Arts. The college is regionally accredited by the Middle States Association of Colleges and Schools. Wagner is the seventh-smallest school in the country that participates in Division I athletics. Enrollment: The university has 2,200 students and an endowment of $74.4 million. Stadium: Wagner College Stadium – Originally opened in 1967 as Fischer Memorial Stadium, A completely reconstructed Wagner College Stadium opened for the 1997 season. Financed entirely through fund-raising efforts by the college, the $2.5 million stadium was part of a $13 million project which included the construction of the Spiro Sports Center – a 93,000 square-foot multi-purpose athletic facility. Wagner averaged 2,208 fans in five home games last season. 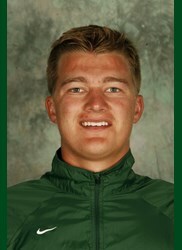 The Coach: Jason Houghtaling, fourth season at Wagner. Houghtaling took over for Walt Hameline, who served in the dual role as Seahawk athletic director and head football coach for 34 years, before stepping down to serve as just the AD. 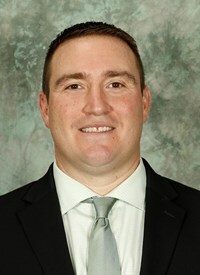 In his three seasons as Hameline’s offensive coordinator, the Seahawks posted a 16-6 NEC record and won the league title twice. Since taking over as the head coach, Houghtaling is 11-22 (8-11 NEC), highlighted by a 6-5 season in 2016, which included a 4-2 mark in the Northeast Conference (NEC). Wagner was 4-7 last season and is 1-1 this season entering Saturday’s matchup at Montana State. 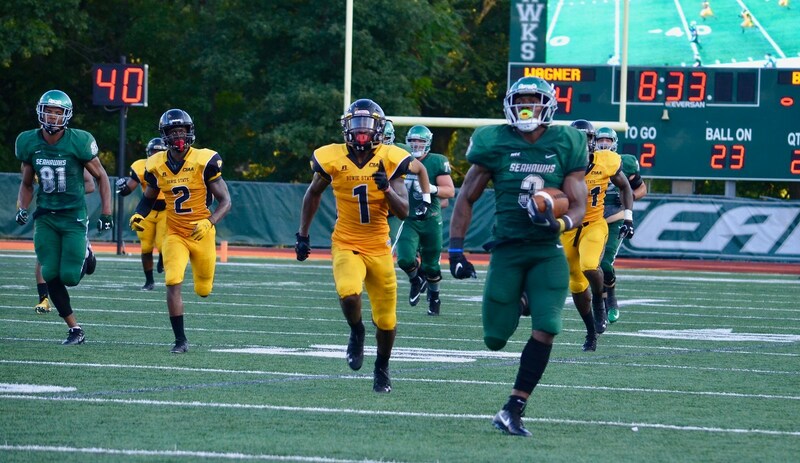 Ryan Fulse, running back, 5-11, 195, senior — In his first season at Wagner last fall after transferring mid-year from Monroe College, the powerful and elusive running back ranked fourth in the FCS in rushing yards. His 1,306 yards on the ground ranked as the ninth-best season in school history. Fulse averaged 6.0 yards per carry and rushed for 12 touchdowns in 2017. 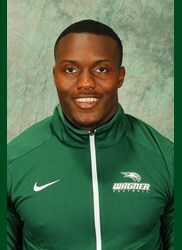 Fulse rushed 20 times for 271 yards and three touchdowns in Wagner’s 40-23 win over Historic Black College Bowie State. Fulse rushed 21 times for 47 yards in the Seahawks’ 62-10 loss at Syracuse. 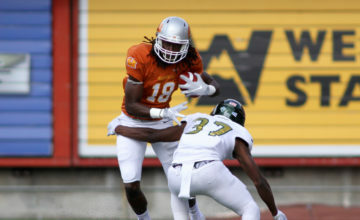 D’Erren Wilson, wide receiver, 6-3, 200, senior — The physical pass catcher spent two seasons at Central Florida. He became the first UCF underclassmen to ever catch three touchdowns in one game when he did it against Tulane. 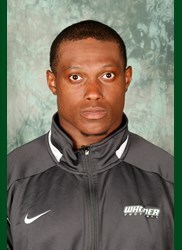 The former 3-star recruit from Greenville, Texas led Wagner with 33 receptions last season. He finished second on the team with 392 yards and averaged 11.9 yards per catch. His first game as a Seahawk, he had 10 catches for 140 yards and a touchdown against Saint Anselm. Luke Massei, quarterback, 6-1, 190, senior — Massei was thrust into the starting role three games into the season last fall when Alex Thomson went down with an injury. He guided the Seahawks to wins over Lehigh, Robert Morris and Sacred Heart. Last season, he completed 58.4 percent of his passes for 1,371 yards and seven touchdowns. He threw eight interceptions. 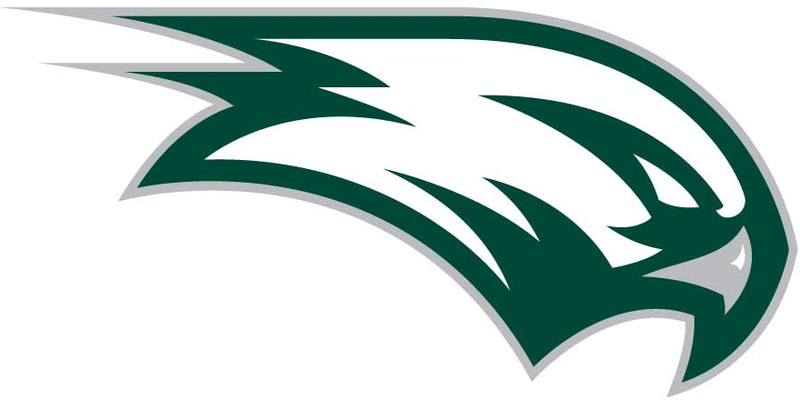 He threw for 322 yards and three touchdowns in Wagner’s four-overtime win over Central Connecticut, the first 300-yard passing game by a Seahawk since Matt Abbey did it in 2006. 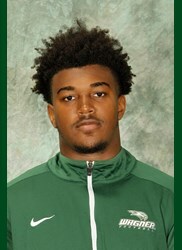 Quinton Hampton, linebacker, 6-0, 235, senior — Like Wilson, Hampton transferred to Wagner before the 2016 season after spending the first two years of his career at Central Florida. At UCF, he played in 11 games and started one as a true freshman, recording 10 tackles against UConn. 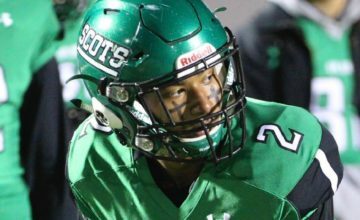 The former 3-star recruit has been one of Wagner’s best defensive players since stepping foot on campus. The ball-hawking, hard-hitting linebacker was a second-team All-NEC selection each of the last two seasons. He had 75 tackles, 53 solo tackles, 10.5 tackles for loss and five sacks in 2016. Last season, He had 82 tackles, 52 solo tackles, 13 tackles for loss and 6.5 sacks last season. 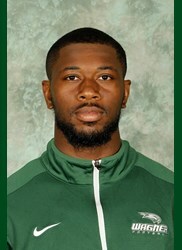 Cam Gill, linebacker, 6-3, 230, junior — Gill is considered one of the most well-rounded football players in the NEC. He was named Wagner’s Defensive Player of the Year following a standout sophomore year that earned him All-NEC honors. Last season, he notched 53 tackles, 37 solo tackles and ranked second in the Northeast with 11 sacks. He totaled 13.5 takcles for loss for a defense that made 80 tackles behind the line of scrimmage. As a true freshman, Gill had 14 tackles and two sacks. 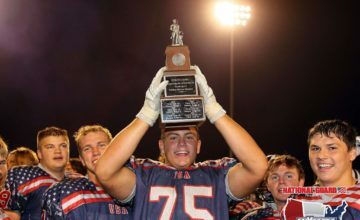 Photos by Brooks Nuanez and contributed by Wagner College Athletics. All Rights Reserved.